Are you looking for a good New York City Tourist Map? When planning your trip, online maps can be confusing. Scroll in once, and you can only see 3 city blocks, scroll out and you’re looking at all off NYC, New Jersey and Long Island. 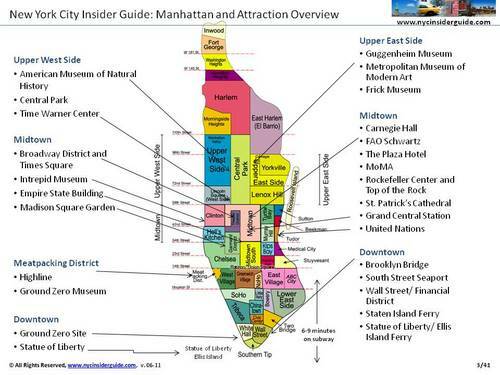 I totally get it and is exactly why the NYC Insider Guide has several NYC Tourist Maps that include New York City tourist attractions, New York City neighborhoods and NYC Subway Maps. Download our FREE Maps and Guides, and you will easily be able to plan your tip to NYC. This is a one page New York City Tourist Map that includes all the major NYC Tourist Attractions. It works best when using our New York City Vacation Planner. Feedback and testimonials on the NYC Insider Downloadable Guide.